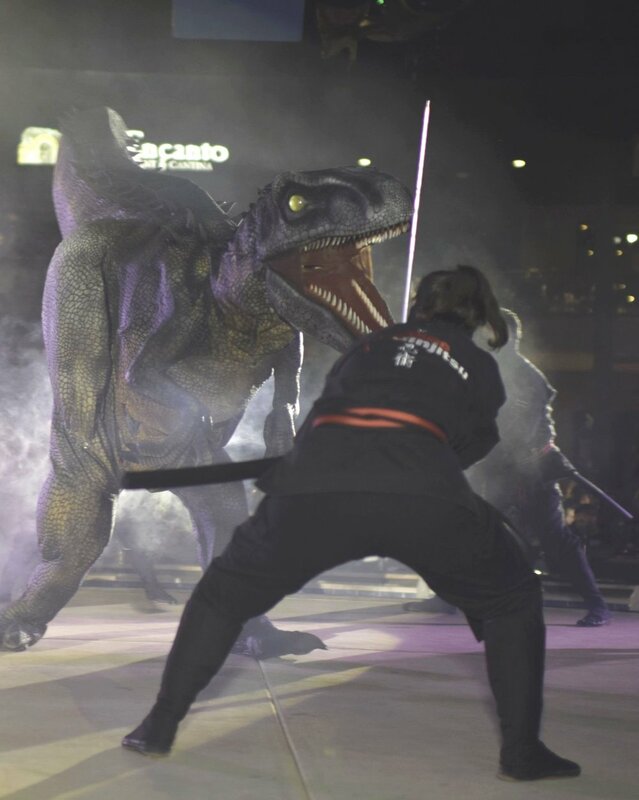 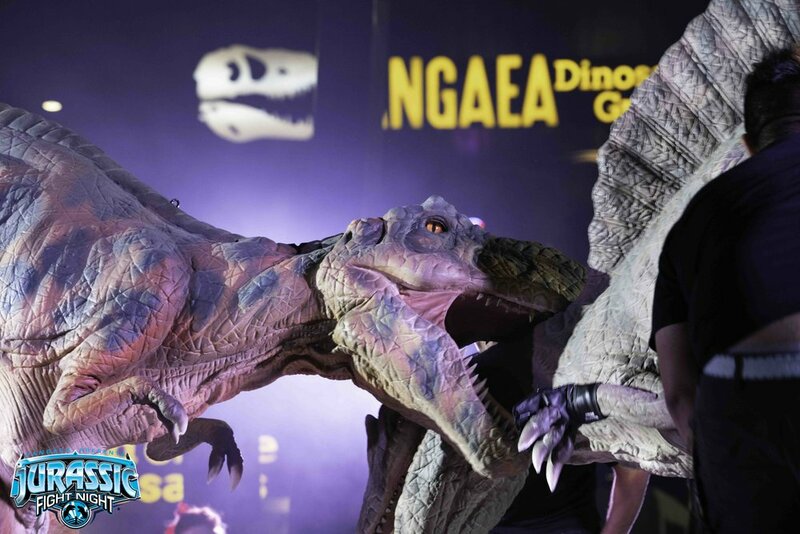 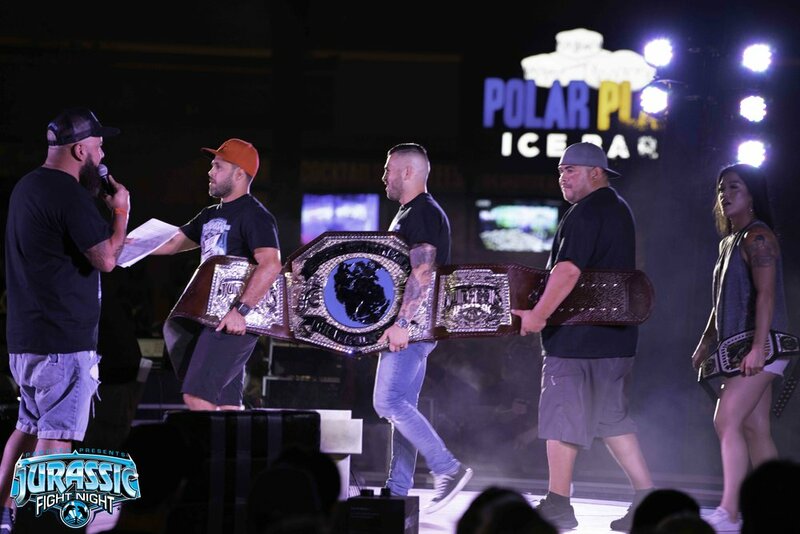 the JURASSIC FIGHT NIGHT EVENTs WERE OUTSTANDING! 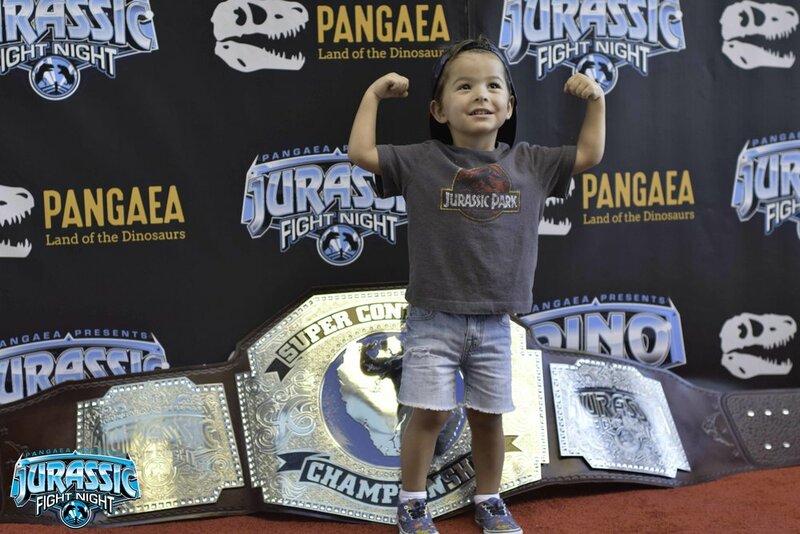 Thank you, to all our students and their families participation and support! 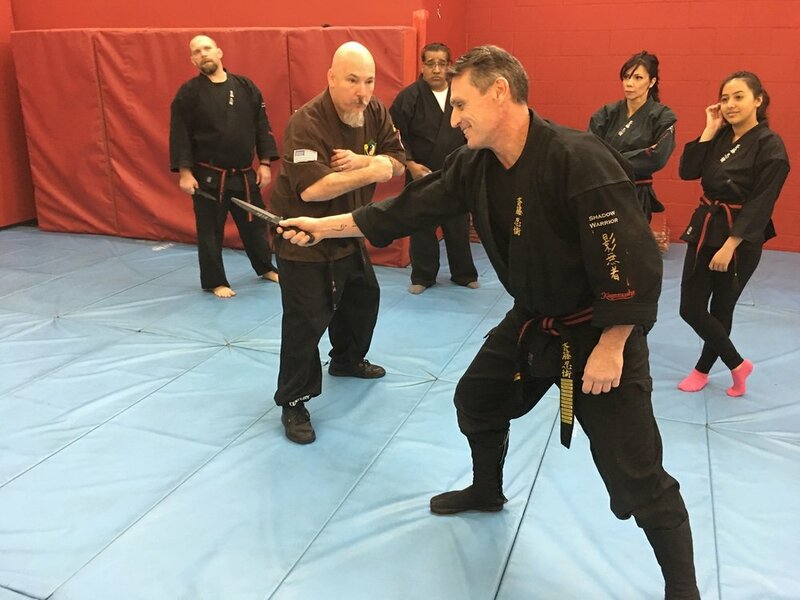 Plan your next event, party, seminar, group, workshop, for corporate, law enforcement, Boy Scout or Girl Scout groups, other clubs, your employee party, birthday parties, and more. 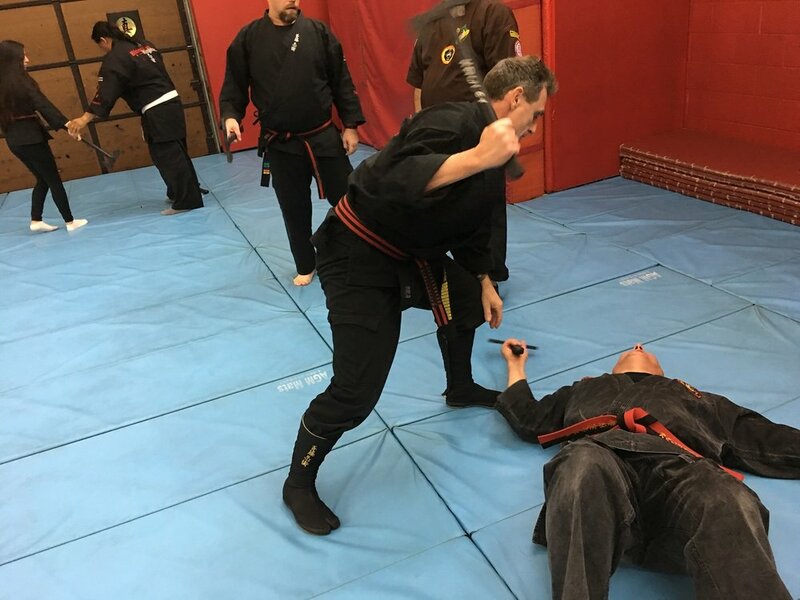 We offer fully customized planning. 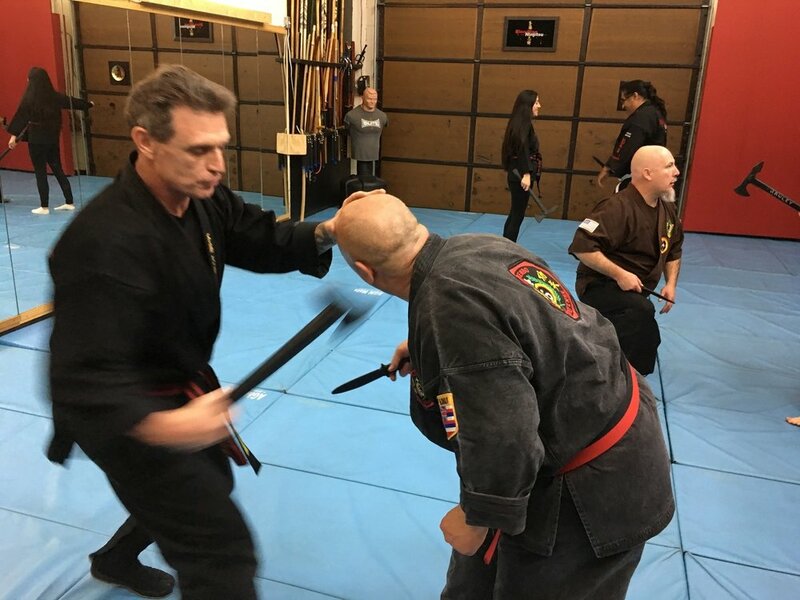 We have great programs and thrilled guests every time. 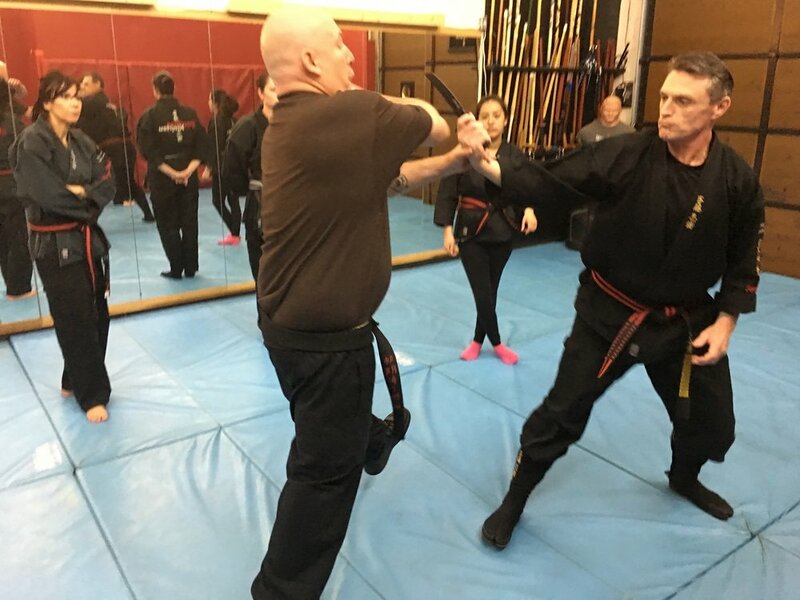 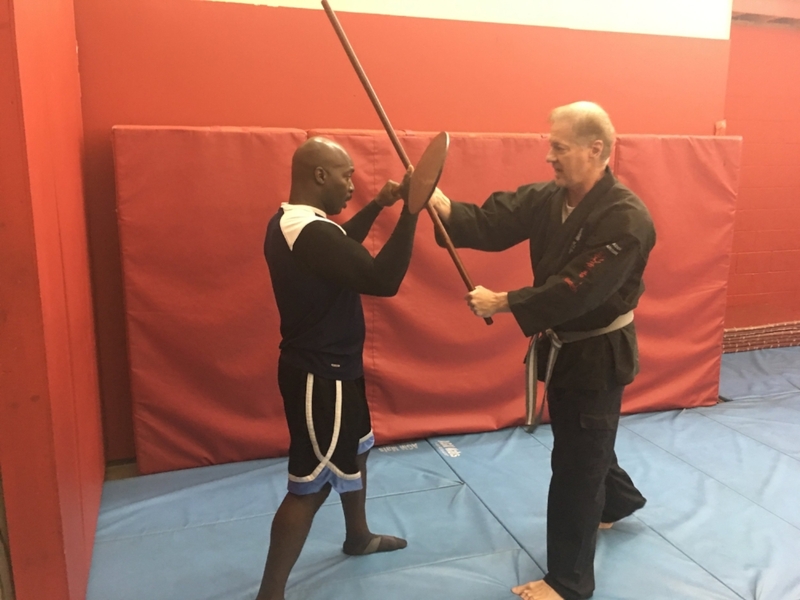 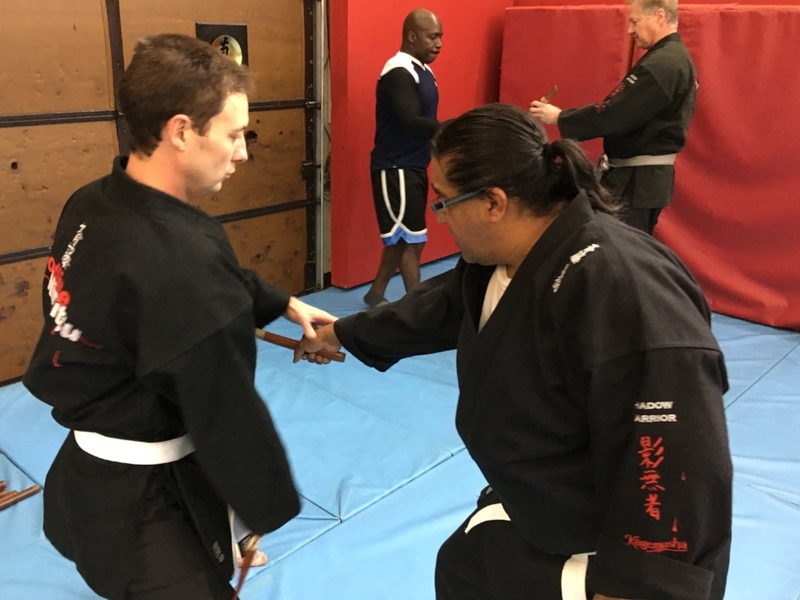 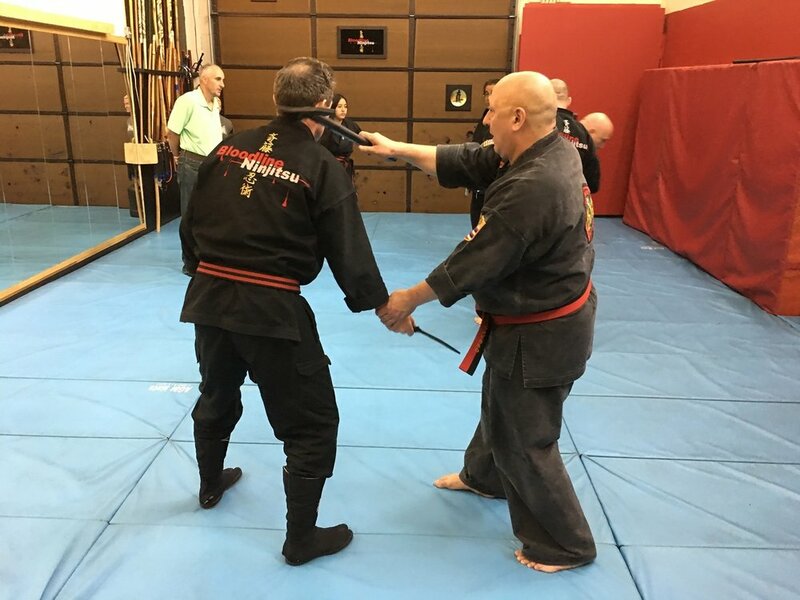 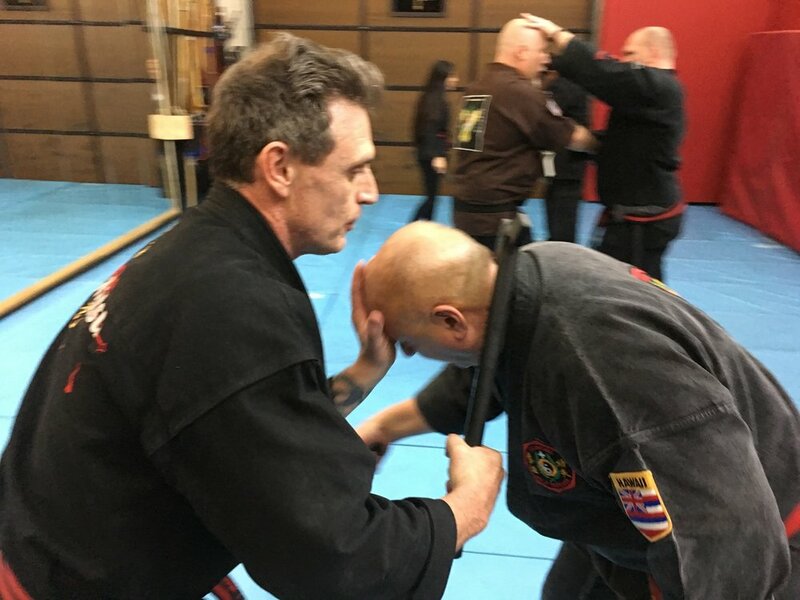 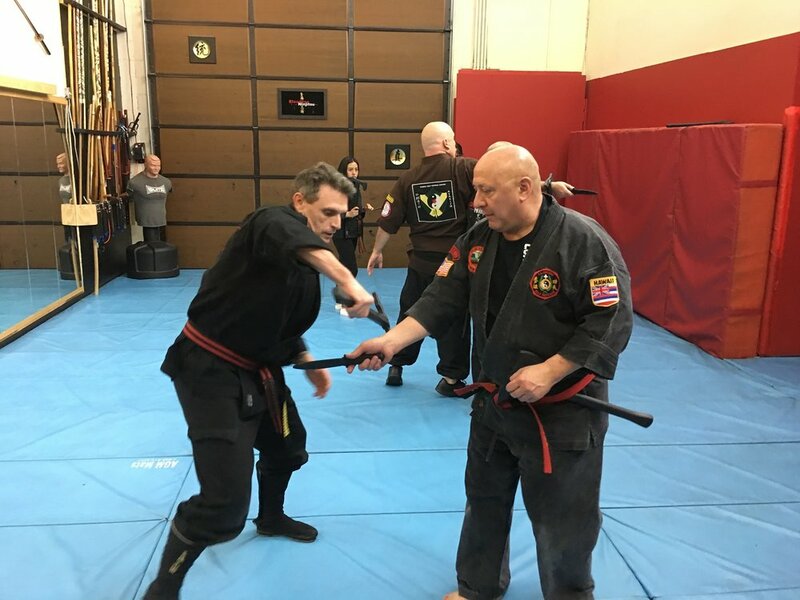 Pictured below is Master Randy Ong providing an exciting and memorable experience in his Lua Workshop introducing the students to martial arts with emphasis on ancient Hawaiian weapons and fighting skills. 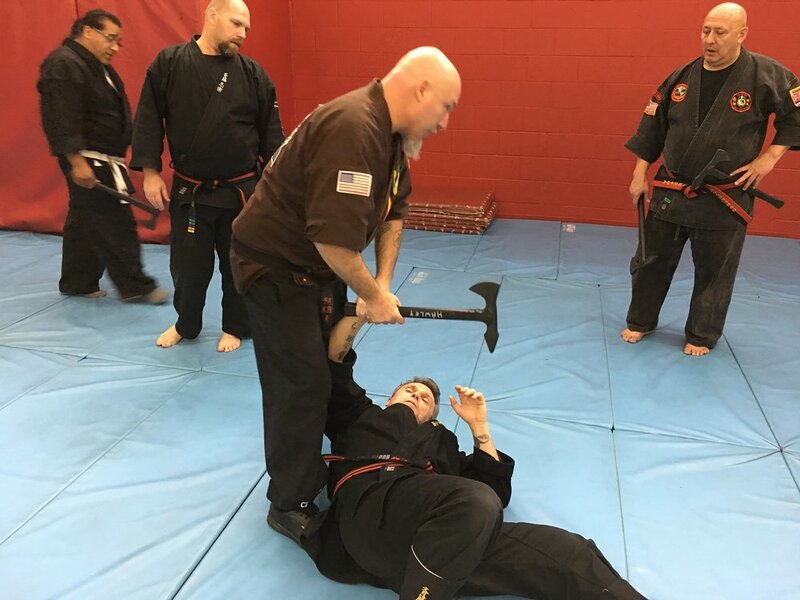 Master Mark Hawley's thrilling Workshop here teaching Knife and Tomahawk fighting techniques - only a small part of a well rounded extensive weekend workshop. 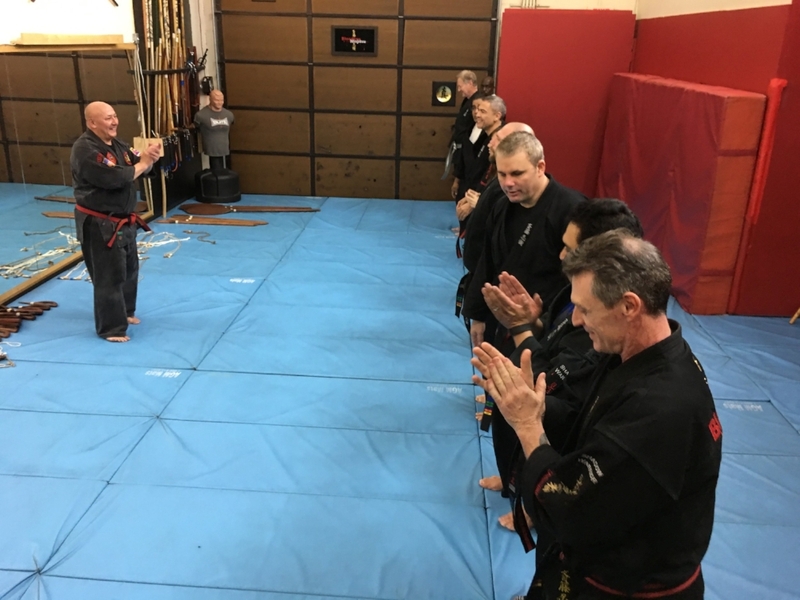 Plan your party with Master Maui and have as much fun as we did!